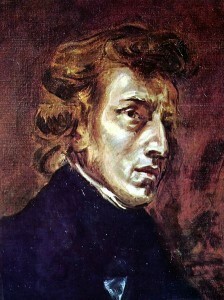 According to the Wikipedia entry on Chopin, “Chopin’s music for the piano combined a unique rhythmic sense (particularly his use of rubato), frequent use of chromaticism, and counterpoint. This mixture produces a particularly fragile sound in the melody and the harmony, which are nonetheless underpinned by solid and interesting harmonic techniques. Musicnotes.com is proud to feature this classical composer known for his emotionally-charged works on our classical sheet music page. We’ve added dozens of Chopin sheet music that you can download for your next concert or practice for our Musicnotes.com YouPerform Contest. Choose from over one-hundred and ninety different arrangements of Chopin sheet music for your needs. Remember, many of these songs are Musicnotes Editions, too! Did you Ask Musicnotes about Transpositions? Here’s our Answer! 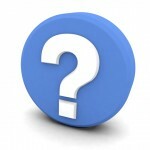 Many of your questions that we received were related to transpositions for sheet music. Specifically, how can you get your sheet music transposed to the key that is more comfortable for you, your choir or your band to play. When songs are written into sheet music, they’re frequently set in keys that are comfortable for most players and singers. If an “originally-recorded in” key is noted on the sheet, Musicnotes.com tries to offer you a corresponding transposition. Watch for an upcoming post next week where we share more answers for Ask Musicnotes! U2 made waves earlier last month with the release of their new album, No Line on the Horizon. 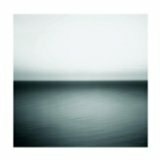 The CD is a departure from what we’ve come to identify as “classic” U2, and embraces old sounds in new and innovative ways. From the upbeat Get Your Boots On to the lovely melody White As Snow, U2’s new musical venture highlights a potpourri of musical styles that range from 70s throwbacks to world music. Now you can be a part of this musical journey by playing guitar tab or sheet music for No Line On the Horizon by U2. If you’re interested in learning more about U2’s new album, read Rolling Stone’s Review of No Line on the Horizon. That’s all for this week’s edition of The Whole Note. Remember, stay sharp and keep practicing!